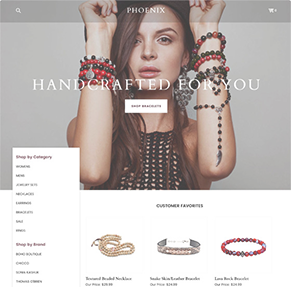 Elegant and on-trend, the Phoenix theme is perfect for businesses with spellbinding imagery and a fresh take on their industry. 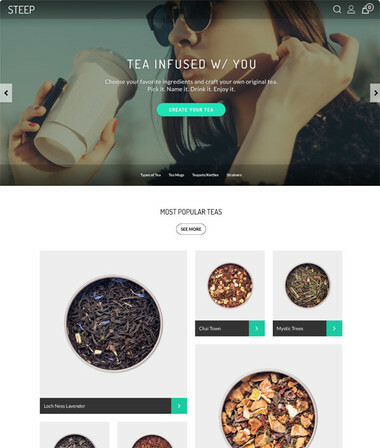 This sophisticated, fully responsive theme provides the space for you to introduce yourself with graceful authority, allowing you to use a striking full-width header image to do the speaking for your store. 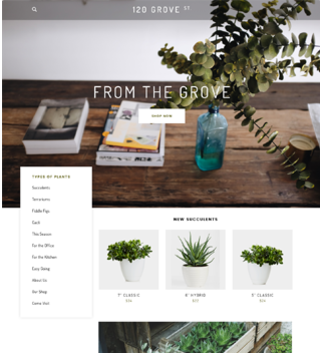 Clean black and white fonts are grounded by garnet-colored touches that warm up the theme, and large images help your customers navigate the site while showing off your best imagery.